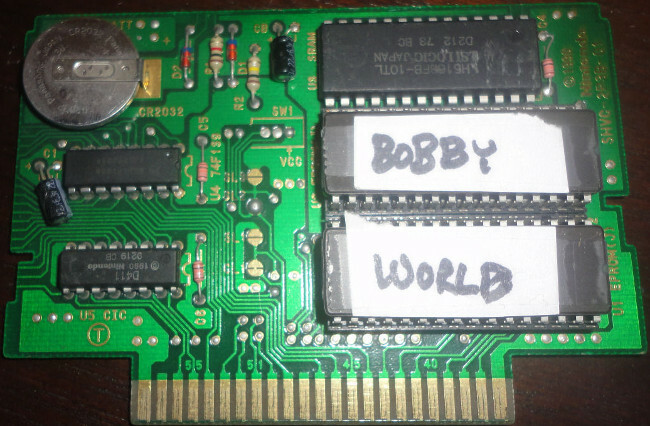 This is a prototype Bobby's World, an unreleased game by Hi Tech Expressions, which was based off the cartoon of the same name. Thanks to to Retromags for the magazine scans. 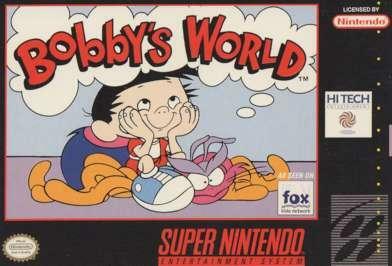 This game is based on the Howie Mandell cartoon of the same name. 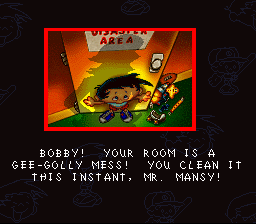 The story is that Bobby has to clean his room, and he has daydreams when he starts cleaning certain parts of his room. 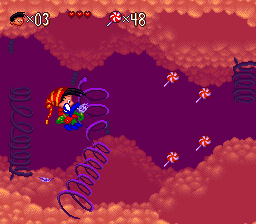 This game appears to be complete, and it is possible to finish the game without any issues. It isn't a very long game, though, and can be beaten in less than an hour. 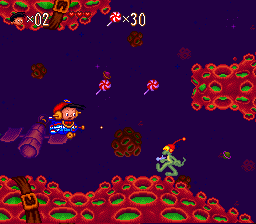 There is a split between platforming and shooting levels. 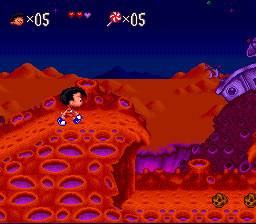 The simplistic gameplay is aimed at smaller children, but I think they would find this game to be a bit frustrating. 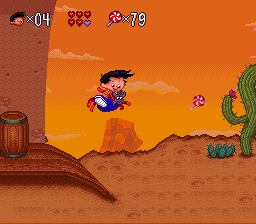 The game was developed by RSP. 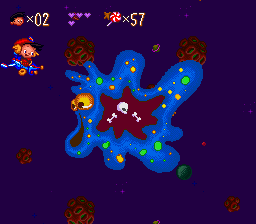 The last part of each stage has a shooter level Blob boss at the end. 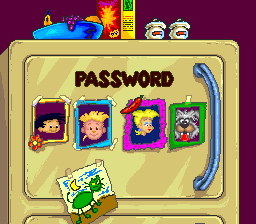 Password features portraits of characters from the show In the mattress. 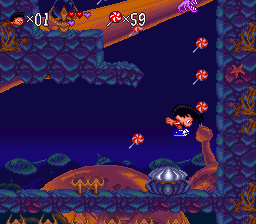 The scene release of this game was by Napalm, and was leaked on October 10, 1994. 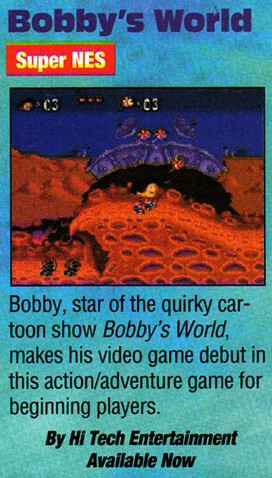 The December 1994 issue of Gamepro has a short preview. It mentions that it should be out at that time. A couple of prototypes are known of this game. 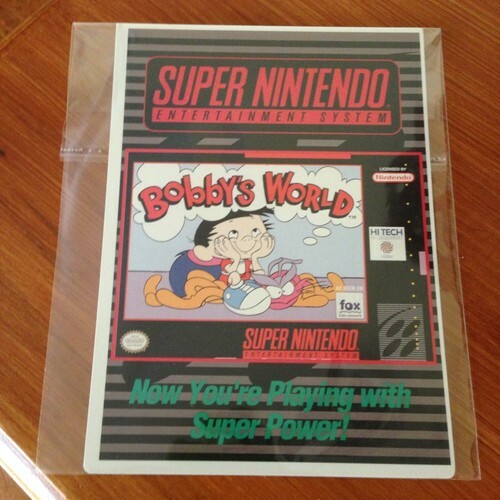 The first was sold by eeyore_sixtyfour on Ebay in mid 2014. Prototype sold on Ebay in mid-2014. Prototype sold on Ebay in mid-2013. 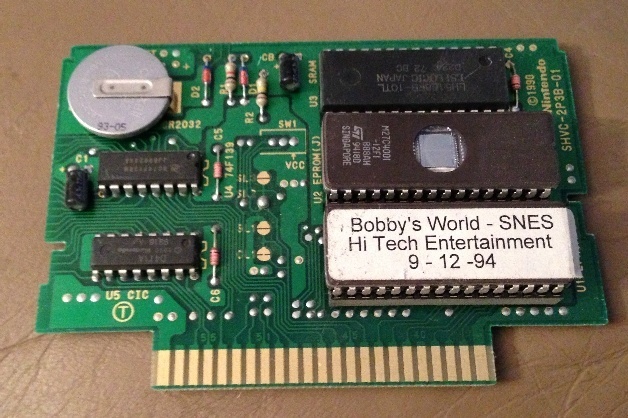 I also have in my archive some pictures of a Vidpro card for Bobby's World. This would have been used in store displays. 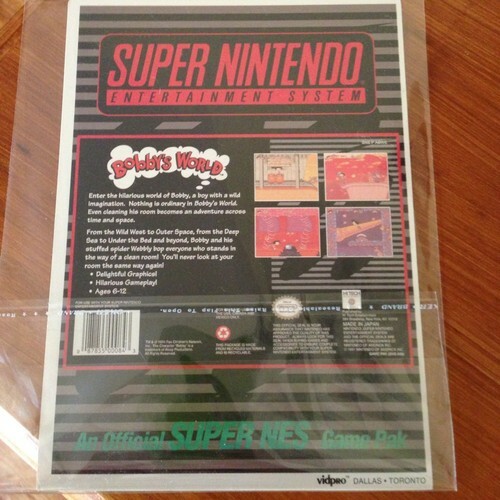 This might be the best shot we have of the artwork on the back of the box, unless someone has the card and scans it.